At around 2:00 pm on Memorial Day, an adult male was removing old water from his backyard swimming pool. Other family members found him unconscious in the deep end of the pool and called 911. The pool had very little water remaining. Fire/EMS units arrived at the home in the 5500 block of Edgewood Drive in Temple Hills and found the man in cardiac arrest. Advanced life support measures were initiated by paramedics and the patient was transported to a hospital in critical condition with CPR being administered. This does not appear to be a case of drowning. It is possible the man received an electrical shock or suffered some type of medical emergency. Despite the best efforts of firefighters, paramedics and hospital staff the 51 year old man passed away after about an hour after arriving at Southern Martyland Hospital. The cause of death is not immediatley apparent and will be determined by the Office of the Chief Medical Examiner. Fire/EMS Department Operating Under a "Heat Stress Watch"
Prince George’s County, Maryland, is in the midst of it's first heat wave of 2011 with temperatures in the unhealthy levels and a forecast of daytime temperatures remaining in the 90’s. The Fire/EMS Department has initiated our first “Heat Stress Watch” for all emergency personnel. 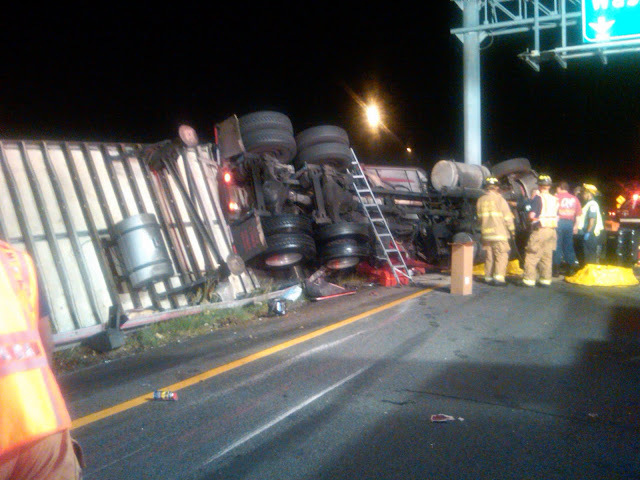 This condition was designed by the Department's Risk Management office to keep personnel healthy and injury free. “A heat stress watch is in effect for emergency operations. Incident Commanders; heat stress injuries to fire service personnel are likely. Attention to the health and wellness of firefighters and paramedics is of the utmost concern at all times and particular care and precautions are administered during periods of high temperatures and unhealthy air. After being involved in firefighting operations all personnel must report to a rehab area. Water and ice packs are provided for hydration and to help the cooling process. Paramedics monitor vital signs and have personnel remain in the rehab area until vitals are documented as being within normal limits. Incident commanders are quick to request additional resources based on incident status. These resources include; Paramedics, air conditioned buses, additional staffing and a canteen unit. Activity level so far this Memorial Day has been normal. It is expected that as the heat of the day increases, so will the number of incidents our personnel must respond to. Remember, Stay Safe to ensure everyone goes home. Water and ice packs are provided for hydration and to help the cooling process. Paramedics monitor vital signs and have personnel remain in the rehab area until vitals are documented as being within normal limits. The National Weather Service is forecasting the first heat wave of the season for Memorial Day into Tuesday. Heat indexes are likely to meet or exceed 100 degrees. Because this is the first round of seasonal heat and bodies are not acclimated yet, heat exhaustion and heat stroke will be a bigger threat than they would be later in the summer. Everyone is reminded to take precautions to stay safe and healthy. 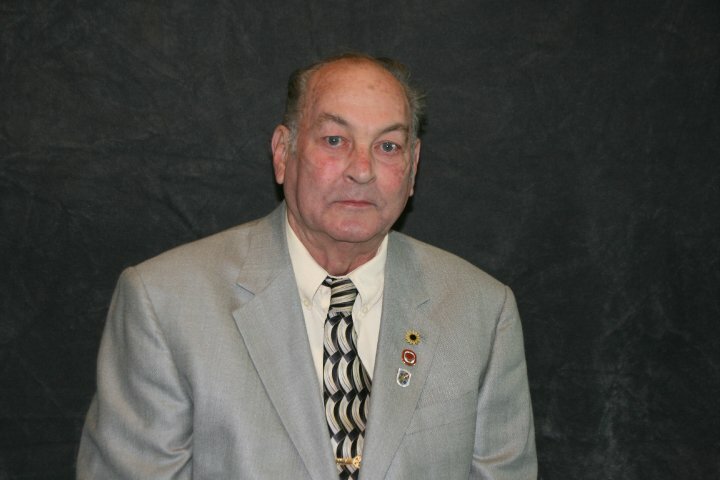 The career and volunteer family of the Prince George’s County Fire/Emergency Medical Services (EMS) Department (PGFD) is saddened at the passing of two long-time volunteer fire service leaders. Each of these men made significant impacts on their respective volunteer stations as well as the entire County fire service. William “Bill” Huttenloch, Past Chief of the Forestville Volunteer Fire Department, passed away on Friday, May 27, 2011. 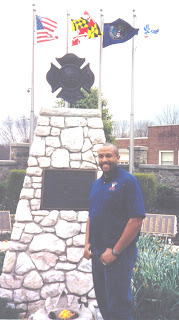 Bill was a Life Member at Forestville VFD and was inducted into the Prince George’s County Volunteer Fire and Rescue Association Hall of Fame in 1990. In lieu of flowers, contributions can be made the Forestville Volunteer Fire Department. Please keep the Huttenloch family and the Forestville Volunteer Fire Department in your thoughts and prayers. Memorial donations can be made to The D.C. Firefighters Burn Foundation, PO Box 4565, Washington, DC 20017. Our thoughts and prayers are with the Wells family and the Kentland Volunteer Fire Department. 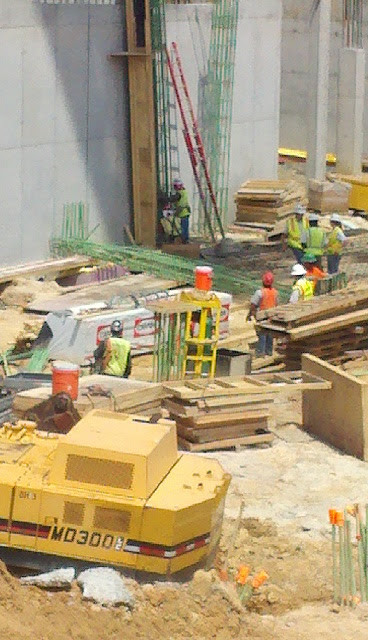 ground after falling onto worker. At 1113 am, Friday, May 27, 2011, the ambulance from College Park,A812, was dispatched to the intersection of Stadium Dr/Regents Dr on the campus of the University of Maryland for an injured person. At 1117 am, shortly before A812 arrived, the incident was upgraded to a technical rescue assignment for a reported collapse of a concrete wall, unknown entrapment. The assignment consisted of Fire/EMS units from College Park, Berwyn Heights, Technical Rescue services and paramedics from the Glenn Dale Fire/EMS Station. 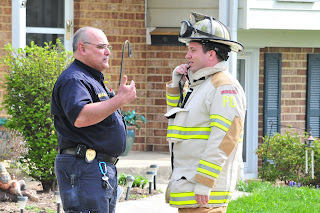 Several incident commanders also responded including Bill Corrigan, the Volunteer Chief of College Park Fire/EMS Station. Upon arrival units were advised by Gilbane Construction representatives that there was an adult male in the upper portion of the excavation, approximately 35' below grade, who suffered injuries when a steel re-bar column support collapsed on him, and that the patient was not trapped underneath. Personnel from College Park made entry into the excavation using the construction entrance ramp and began to assess the situation and patient and initiate patient care. 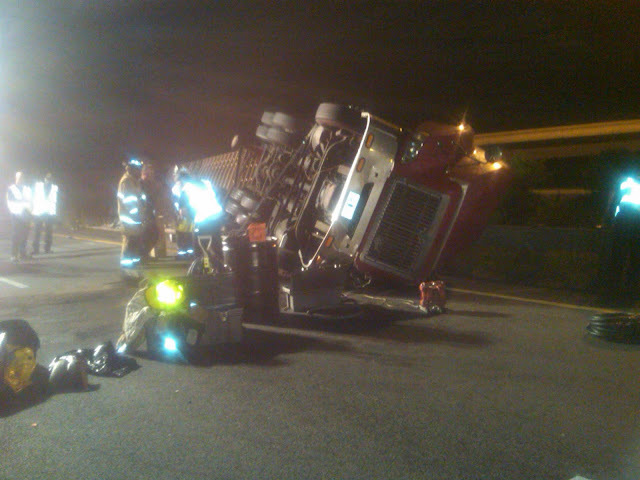 Upon their arrival personnel from Berwyn Heights Technical Rescue assisted with packaging and stabilized in a Stokes Basket, placed into the bed of a fire department utility truck and removed back to grade level using the construction entrance ramp. EMS personnel continued with their assessment and transported the adult male, in his 40's, to a Trauma Center with non life threatening injuries. From time of arrival until the time the patient was in the back of A812 was less than 15 minutes. 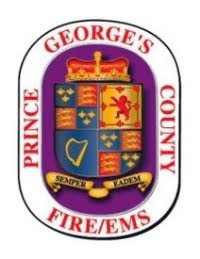 If you have not had the opportunity to visit the Prince George’s County Fire/Emergency Medical Services news site (www.pgfdnews.com) this week, you are missing some great stories and valuable information. Here is a recap of the stories posted. You can follow breaking news and other information about the Prince George’s County Fire/EMS Department at www.TWITTER.com/PGFDPIO. Pete Piringer, Public Information Officer of the District of Columbia Fire Department, said that Ryan is scheduled to be discharged between 2:00 pm and 3:00 pm today. He will leave the Washington Hospital Center and return to Engine 15/Rescue Squad 3 Fire Station at 14th Street and V Street SE. The return to the fire station after release from a hospital is symbolic that the incident in which he was injured is now complete. It also serves as part of a firefighter’s tradition that everyone goes home after every call. Piringer stated a reception will be held at the fire station to celebrate Chucky Ryan’s release. A Prince George’s County Firefighter/Medic was injured when he was bitten by a dog at the scene of a Capitol Heights house fire. Fire/EMS units were dispatched to a 911 report of a house fire in the 900 block of Clovis Avenue. Units arrived on the scene and reported fire showing from the 1-story, with basement, single family home. Firefighters initiated an interior attack and search of the structure. As the fire was being contained and extinguished, searches for occupants proved negative with the exception of three dogs located in the basement. With the basement area deemed safe and free of any smoke or fire, firefighters secured the dogs in the basement. A fourth dog was found outside and remained on the porch as firefighters went about their work. Firefighters had the fire extinguished in about 15 minutes and were preparing to overhaul the burned debris when the dog, appears to be a Chow, left the porch and entered the structure. Fearing for the safety of the dog inside the damaged structure, a firefighter approached the dog which acted friendly as the firefighter pet him. 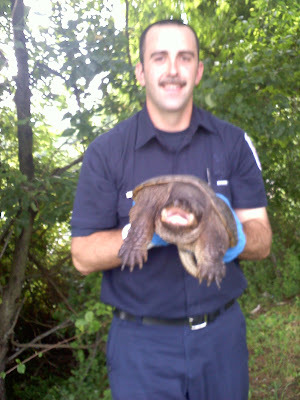 Suddenly and without warning the dog bit the hand of the firefighter causing puncture wounds and possible nerve damage. The veteran Fire Fighter/Medic Captain was treated by paramedics on the scene and transported to Union Memorial Hospital in Baltimore. This medical facility is a specialty trauma center that specializes in hand injuries. The firefighter is still undergoing treatment, however, could be released as soon as this evening. 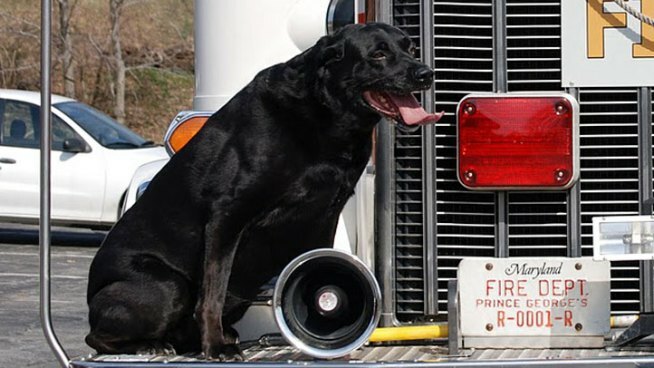 Prince George’s County Animal Management officials took custody of the dog involved in the firefighter injury until the owner could produce verification of vaccination. The three dogs in the basement were not injured and are in the care of their owner. Three occupants of the house will be displaced and are making their own arrangements for alternative living arrangements. The fire appears to have started in the kitchen area, however, the exact cause remains under investigation. Fire loss is estimated at $55,000 for the structure and contents. While our shifts are spent side-by-side with co-workers, many times we are not familiar with what our comrades do off-duty. Some of the stories we have chronicled previously include stories of Cheesecake Johnny, Award Winning Gardening, Life of a Bomb Tech, Ascending Mount Rainer, Wounded Warrior Efforts, and a wounded veteran returning to the Fire/EMS service. Now we introduce you to a pair of employees whose hobby takes them to new heights. Paul Gomez, 38 years of age, and Dale Ednock, 43 years of age, are both well on their way to obtaining their private pilot licenses to fly helicopters. A hobby that each has long thought about and have finally taken the steps to fulfill their aspirations of flying. Paul and Dale are both currently assigned to the Office of the Fire Marshal. In addition to being Fire Investigators and handling day-to-day incidents, they each have other roles and responsibilities as well. Gomez is the Acting Battalion Chief and Ednock is the Bomb Squad Commander. Being assigned to the Office of the Fire Marshal requires an array of additional training. Just some of the training includes; Fire/Arson Investigation, Police Academy and Hazardous Devices School. Both are veteran members of the Fire/EMS Department, Dale with 21 years and Paul with 16 years and each took similar paths to reaching their current assignments, doing their time in the field and eventually selected as Fire Investigators. with Fire Fighter Hector Areizaga from the Office of the Fire Marshal. Gomez started his fire service as a volunteer member at College Park and Hyattsville. After graduating from Career Recruit School he did his rookie at time at Glenn Dale Fire/EMS Station and then as a shift work firefighter at Seat Pleasant then a Lieutenant at Tuxedo-Cheverly before being tapped for fire investigations. Throughout his fire service career, both as a volunteer and paid, Paul was constantly being tapped for his skills and expertise. As a volunteer he provided video and audio support for projects with the Public Affairs and Community Outreach offices. 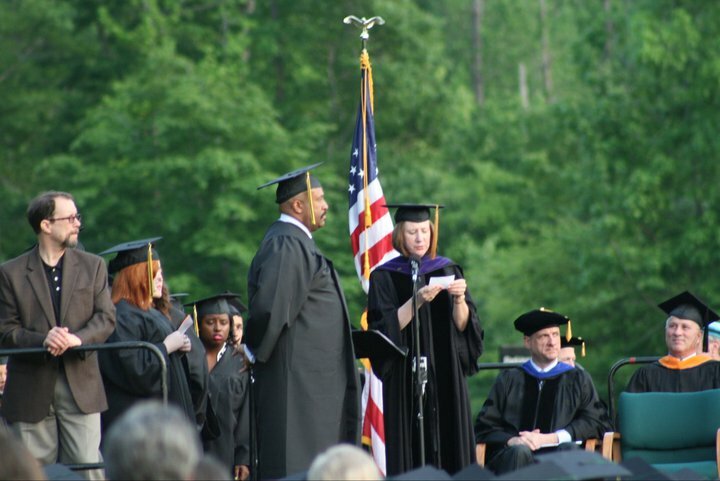 His career path landed him in assignments within the Management Services Command for the Stadium Project, as an aide to Special Operations Command and subsequently to his current assignment in the Fire Marshal’s Office. at the scene of a warehouse fire. 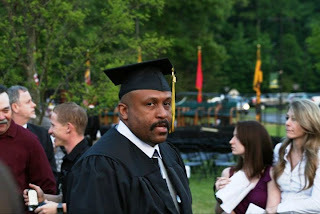 Ednock graduated from the Fire/EMS Training Academy in 1990 and was assigned West Lanham Hills Fire/EMS Station #828. He completed his “rookie book” and remained there until the middle of 1992. He was then assigned to the Special Tactical Unit (STU) at Tuxedo-Cheverly #822. Dale remained on the STU Unit until selected to go the Fire Investigations Unit in 1995 as a Fire Investigator/ Bomb Tech/EOD and K9 Handler. They are working now towards the Federal Aviation Administration’s private pilot’s license. Paul and Dale each stated the time commitment which includes school, flight time and commute to and from the airpark in Saint Mary’s County is time consuming from Calvert and Anne Arundel Counties (respectively) where they live, but it is all worth the time and effort. Gomez said. “There are a complete list of skills that must be accomplished to include a minimum of 40 hours of flight time and a medical physical. Part of the process involves solo flight without an instructor present. There are also cross-country requirements, a written exam (ground school) and oral examination.” When asked about his current status, he stated, “I currently have roughly 50 hours of flight time. For each hour of flight, it involves an hour ride to the airport, a pre-flight check, discussions with the instructor, and an hour return trip and refueling. It has been well over a year since I started the process”. For the time being each has no intention of leaving the Fire/EMS Department anytime soon and enjoys their time both on and off-duty. Their soaring hobby seems to match their job at work which requires attention to detail and you never know where you will go throughout the course of your shift. 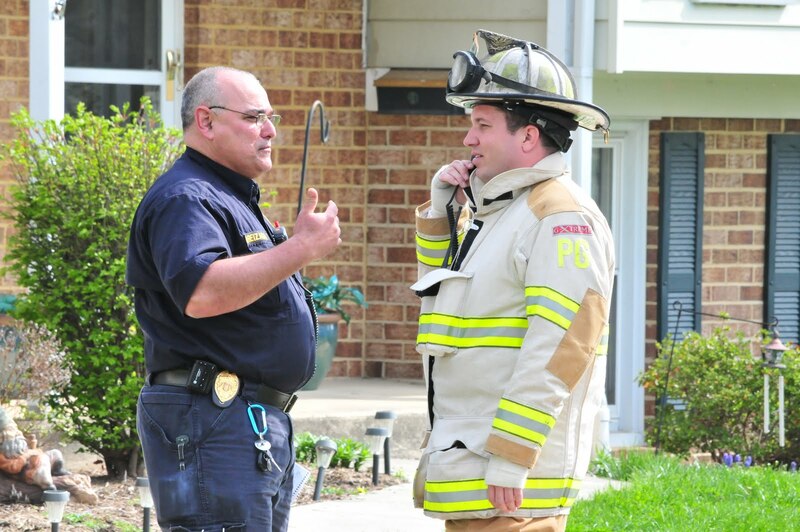 Fire Captain Dale Ednock prepares to search for the cause of a fire in Forestville. 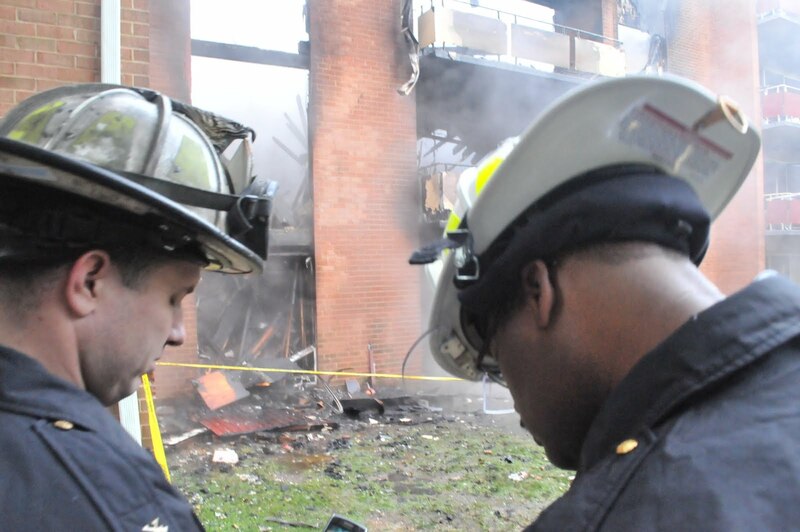 Acting Battalion Chief Gomez (on the left) at the scene of a fatal fire in Temple Hills.